One of the main advantages of plantation shutters are that you can control how much light you want coming into your home, while still managing to obscure the view of people outside looking into your home. On those hot sunny days, a shutter on a window or door will provide that much needed shade while still allowing you to look out onto the world. 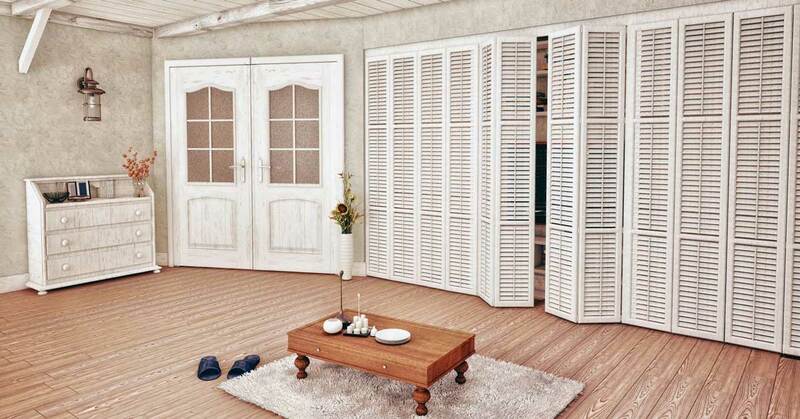 The ease of cleaning plantation shutters is also a great relief and is enough of an excuse to buy them. You no longer need to go through the effort or time of taking down curtains covered in dust – and potentially dust mites – loading them into the washing machine and waiting for them to be cleaned and dried. Cleaning shutters is extremely low maintenance with all you needing to do is give them a quick flick over with a duster or a damp cloth. After that simple task they will look brand new. Definitely the most hygienic, quickest and easiest option. If you are looking to possibly sell your house in the future, then plantation shutters are also a great investment. Estate Agents consider plantation shutters to be a part of your houses permanent fixtures, which means when they put a price on your home, the price will go up. Not only that, shutters also give your home a tidy, smart and presentable look for anyone who comes to your home. Home security is also a great advantage to plantation shutters. Since they have a lock on them, the extra layer of security will make your home a safer place. Plantation shutters also help to add an extra soundproofing layer by helping to block outside noise when the doors and windows are closed. During the colder days, due to the wooden material plantation shutters are made from they help to keep the warm air inside, helping you to save money on heating. During the sunny days, plantation shutters are great for allowing the air to circulate round your home, giving you a chance to keep your windows and doors open while still giving you the privacy and light control that you are after. What is also useful about these, is that anyone who has children or pets no longer have to go through the struggle of keeping the house closed up and dragging the fans out for the hot weather. You can now keep doors and windows open while keeping the plantation shutters locked shut, meaning you can relax knowing pets and children are safe in the ventilated house. Plantations shutters for arched, angled and curved windows are not a problem for us – we can make bespoke shutters to fit nearly every shape, which is a lot easier rather than you having to take the time to alter your curtains for the unusually shaped windows. It is also a fun and different option – who wants to stick with the conventional and traditional ways of window treatments when you can stand out from the crowd with your shiny, new window shutters? Wooden shutters are increasingly becoming a popular trend especially since you can customise them to blend in with your home surroundings. However, if you are still unsure then contact us and we can arrange a free appointment for you to speak to one of our specialists so we can find out exactly what you are after and also give you a quote. At Lifestyle Shutters & Blinds you can choose from a variety of different woods and colours (we even do colour match) that will not only look good in your home, but you will feel good for knowing you have made a great investment. You will be reassured with the knowledge that your products are made to measure and fitted with perfection by our specialist team. We also offer a five-year guarantee on all of our products.